Epoxy is an attractive and utilitarian finish that is custom and affordable! MPA Painters will help you restore and manage your concrete, basement, or garage floors with a secure coating and finish that will extend the life of your floor. Why Should I Have Epoxy Floor Finishing? 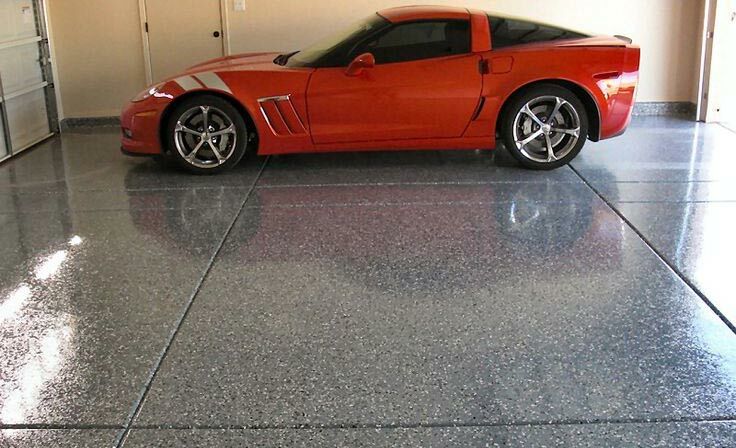 Epoxy floors are exceptionally durable floors that can support the weight of storage and heavy equipment, which you might have in a garage or basement. Gyms use this type of flooring with mats for shock absorption. It is applied as a special coating that needs to be applied evenly, creating a giving but tough shell to the floor. To that end, epoxy is a prime choice to finish even commercial storefronts because it will endure the foot-traffic of your audience very well. With MPA painters installing the floor for you, it's always a safe bet: We are bonded and insured by the state of New Jersey. While you go throughout your day, our crew will prep, paint, and finish your home or business to your satisfaction. Epoxy coatings create a shiny, glossy surface. The brightness in an area increases. Epoxy floors are really fast and easy to install. Oftentimes, no paint is required over the epoxy finishing. They resist oil stains and wipe clean. Epoxy floors can last several years. They are considered environmentally friendly. We make sure you are satisfied with our work! Contact us at client@mpapainters.com or (908) 845-5700 to learn more!